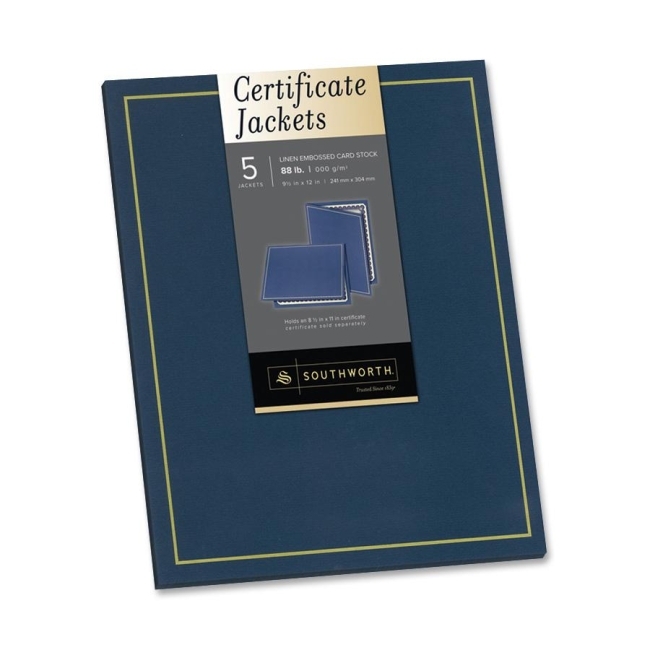 Certificate Jackets complement Southworth parchment paper certificates. Exceptional heavyweight cover stock in a classic navy blue with a gold foil border conveys the significance for the award-winners. 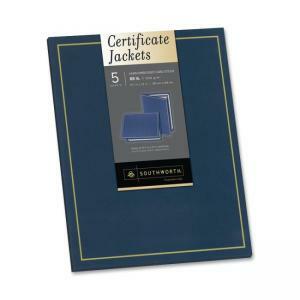 Use with preprinted or foil-enhanced certificate paper. Each jacket is made of 80 lb. stock with a felt finish.